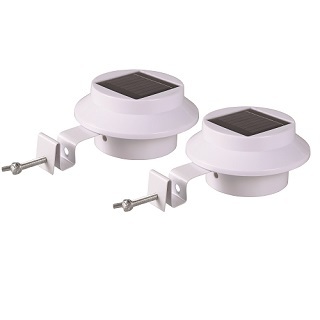 Available in Black or White these wireless and mains power free solar gutter lights come as a pack of 2. 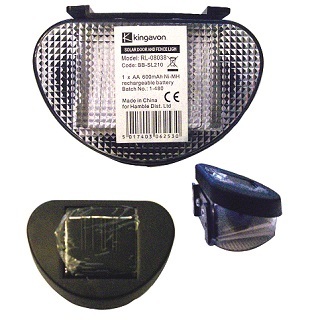 The Gutter lights are made from a durable PP body and have 3 super bright white LED lights. They also have a manual on/off switch so you can easily turn them off after dark if you wish. 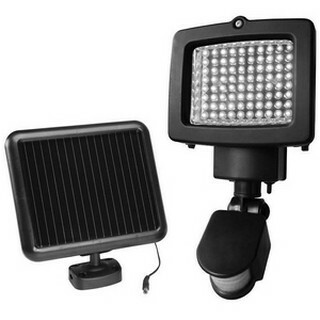 These solar gutter light have in built polycrystal solar panel which are, 2V, 40mA. 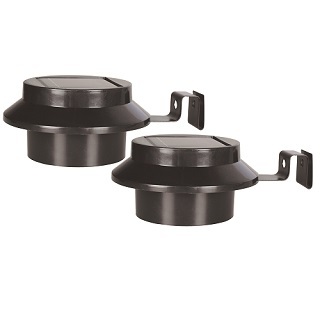 (approx) & are ideal for under your roof on gutter eaves or the garden fence. 1: The solar panel must be set in a location that receives full, direct sunlight, a minimum of 8 hours a day. Ideally it should be south facing. Before operating for the first time the batteries need to be fully charged. 1: Turn power switch to off position. 3: After charging turn the power switch to on/auto. The light will illuminate after dusk and switch off at dawn.